During Marvel Comics’ 75th and Daredevil’s 50th Anniversary Panel at 2014 San Diego Comic-Con International, there was some discussion about the Daredevil Netflix TV series. 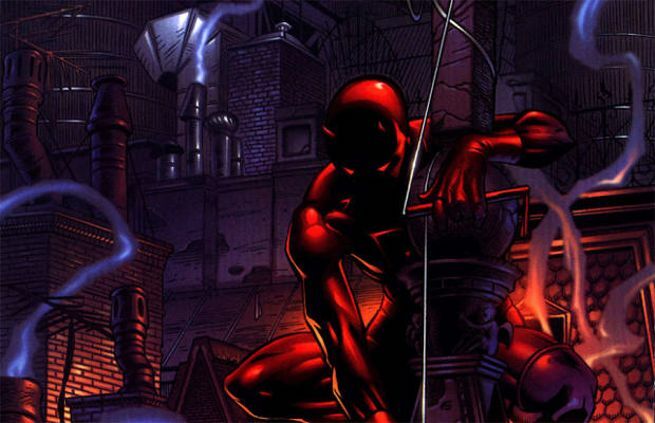 The biggest reveal was probably the month when the Daredevil Netflix series would premiere. At the Guardians of the Galaxy world premiere earlier this month, Daredevil executive producer Steven S. DeKnight had indicated that the Daredevil series would start airing next year, but he didn’t reveal a month. In the Marvel Comics’ 75th and Daredevil’s 50th Anniversary Panel, it was revealed that the show would come out in May 2015.